I finally made it out to the new Natick Mall extension, The Natick Collection. The Natick Collection is an upscale shopping mall anchored by Nordstroms and Neiman Marcus. It connects in to the Natick Mall across from Lord & Taylor. The Natick Collection has several dining options one of which is a branch of the Boston restaurant Sel de la Terre. One thing I’ve always loved about Sel de la Terre in Boston is their bread. They bake several varieties and even sell it in their Boulangerie area. The new Natick location is no different. 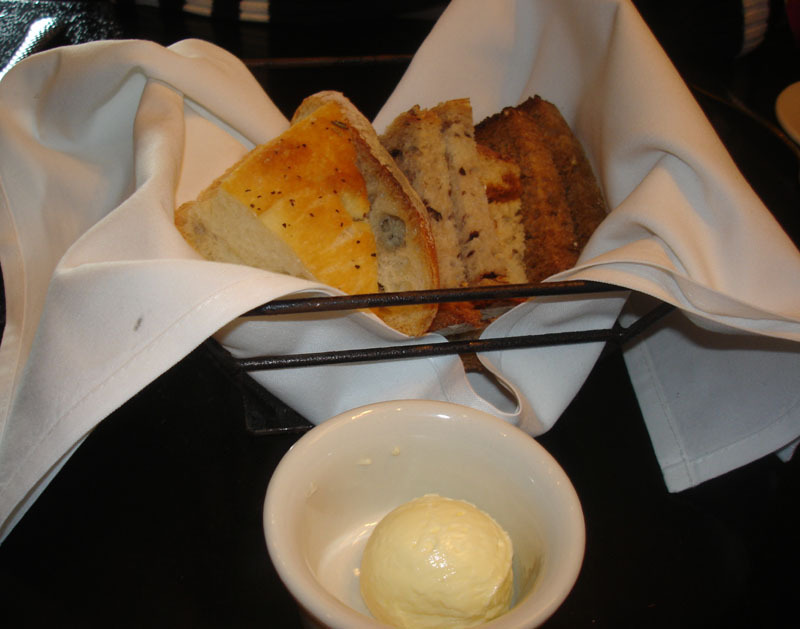 Our waiter brought us a basket with 4 varieties of bread in it, including an olive bread, a honey brown bread, and one dotted with dried fruit. All were delicious, but the olive bread is still my favorite. Sel de la Terr bills themselves as serving rustic country food of Provence and southern France. Their lunch menuconsisted of several types of sandwiches, salads, hot entrees, and starters. They also have a 3 course prix fixe lunch for $21. The 3-courses for the prix fixe change daily. I ordered the Duck confit on multigrain with sautéed cabbage, carrots, black currant chutney and curry aïoli ($8.95). The sandwich was very flavorful and different than any sandwich I have had recently. 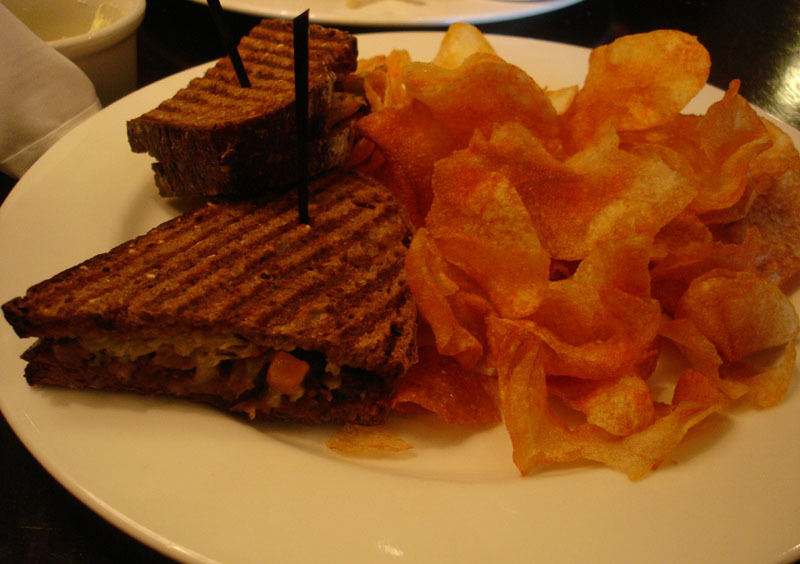 The sandwich was served with a mound of homemade potato chips. The chips were really good and I got asked by the mister if I know how to make them. He ordered the Grilled Angus burger with caramelized onions, Cabot cheddar, pepper remoulade and pommes frites ($11.95). He got it done medium well, which I think is where he made his mistake…because he later noted that his burger was a little too dry for his liking. 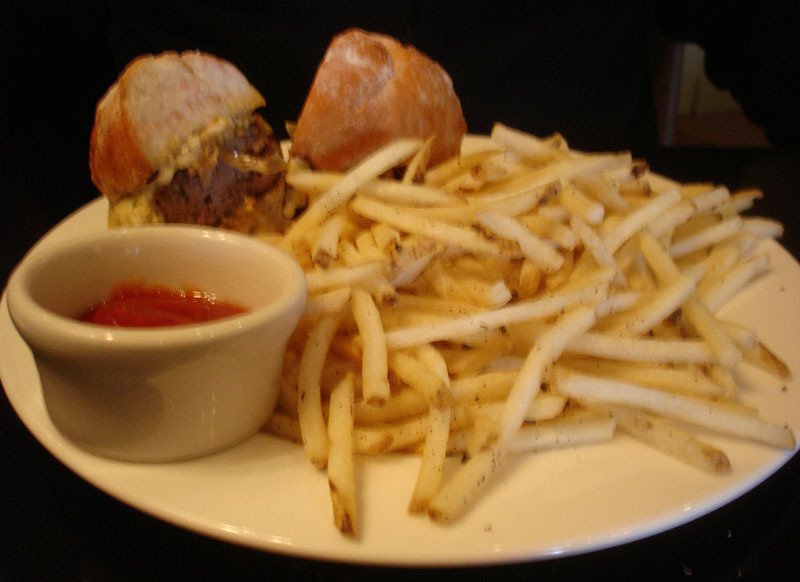 The burger was served with a generous stack of pomme frites. I give our lunch experience at Sel de La Terre Natick 3.5-4 out of 5 mangoes. 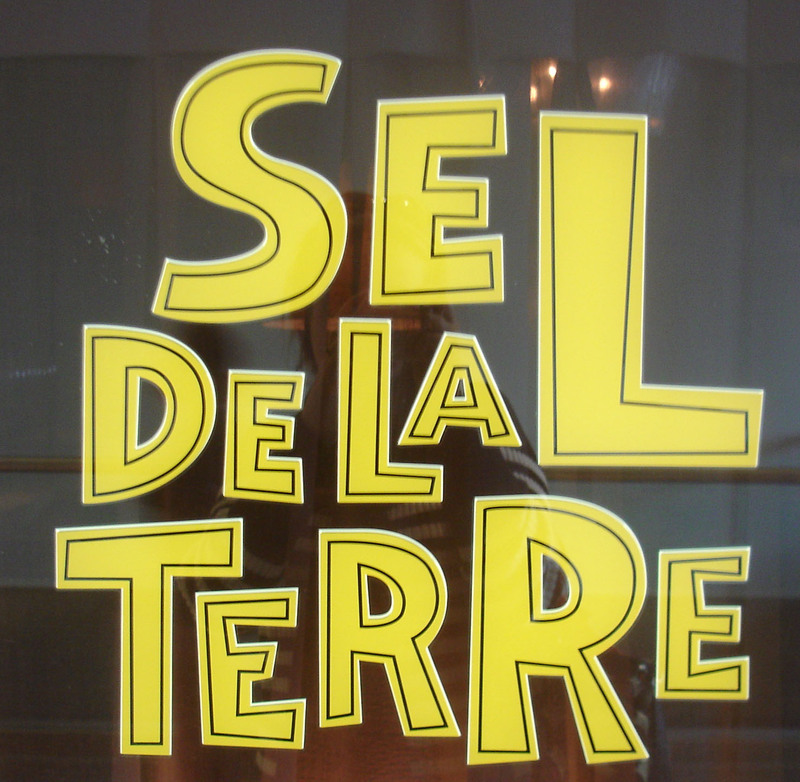 Sel de la Terre just opened a new location on Boylston St. in Boston by the Prudential Center.